“My door lock is jammed”, “my door lock is sticking”, “my door lock is loose”. These are the statements a locksmith will hear all the time. When people have a door lock not working properly, they will usually have no idea what’s gone wrong. 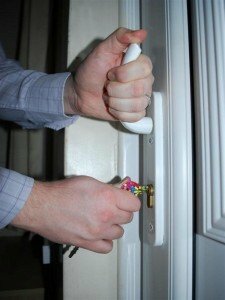 Sometimes the fault can leave them ‘locked in’ or ‘locked out’ of their property. Or maybe they cant lock the door, forcing them to stay at home. Above are just some of the reasons people call out a locksmith. This service can sometimes be expensive, depending on the problem, and the time of the call out. Therefore, at Alcatraz locksmiths we have put together a list common lock problems people are most likely to encounter. Maybe the information will help you fix your own lock? kind of like a ‘lock problem troubleshooter’. If all else fails give us a call, we are always here to help, 24 hours a day! Most new build houses today are fitted with UPVC or composite doors. These doors come with a built in multipoint locking mechanism. 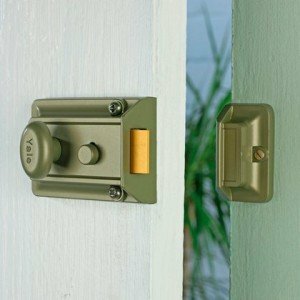 These multipoint locks have a combination of hooks and bolts which extend into the door frame when the handle is lifted. However, back in the day most households were fitted with a wooden door as standard. These doors are usually fitted with two locks; a ‘cylinder nightlatch’ (Yale lock) and a ‘mortice lock’. Below is the most common locking problems we see on the doors mentioned above. DOOR LOCK NOT WORKING ON MY WOODEN DOOR? There are a few reasons why a key wont turn in a lock. The person could be trying to open the door with the wrong key! part of the key could be worn away, leaving it the wrong shape to open the lock? A door lock can also start ‘jamming’ due to a lack of lubrication. Sometimes the pins and levers inside a lock become so dry that they stop moving smoothly and eventually seize up . Usually a simple spray of lubricating oil on the working parts is enough to sort out the problem. Sometimes people can have problems with their locks after having keys cut. Most people do not realise you can only copy a key so many times before it stops working properly. If your copying keys from the original key which came with the lock, it should always work fine. 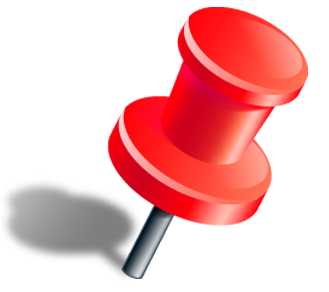 Problems arise when you start copying keys that have already been copied (not an original). Its like the Chinese whispers analogy; the more times something is repeated, the further from the original it will be. check out this video on multiple key copying for a demonstration. 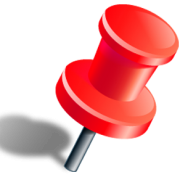 This snib is the little button on the lock body. If the key is not turning in the lock, it could be the snib on the back of the nightlatch has becoming faulty. This usually happens when it has moved itself into the deadlocked position when the door is closed. When this snib drops, no matter what you do, the lock will not open from the outside, even with the correct key inserted into the lock. This type of scenario is quite an easy job for a trained locksmith. If you have a letterbox on your door they will put a mirror and tools though it, which will enable them to move the deadlocked snib into the correct position. 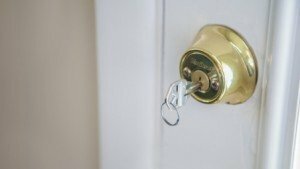 Usually after this type of job the locksmith will recommend having a new lock fitted, because once the snib has deadlocked itself once, it will usually happen again. This problem may be caused by the door moving out of its original position, due to movement in the building or weather conditions causing the wooden door to expand or contract. This door movement can cause locking problems by the doors locks not aligning properly any more with the lock keeps on the frame. The easiest fix for this type of problem is to take off the lock keeps on the door frame, and realign them to a better position to receive the bolt from the lock. When realigning the lock keeps on the frame, it is always a good idea to place them in a way which leaves some contingency space in case the door moves again in the future. DOOR LOCK NOT WORKING ON MY UPVC DOOR? Their are 2 main reasons why people will have this problem with a UPVC door. The first reason that can cause the above problem is ‘misalignment’. The door has moved from its original position and become misaligned with the keeps on the door frame. With UPVC doors, this ‘misalignment’ is usually due to the weight of the door pulling down on the hinges over a period of time. With the more modern UPVC doors this problem can be an easy fix; simply insert an Alan key into the middle of the top hinge, turn the key a little whist watching for the door lifting to its original position. You can visit the Glass and Lock website for a more comprehensive guide on adjusting different types of UPVC door hinges. 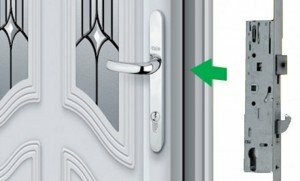 The second reason why a UPVC handle wont lift to lock the door, is caused by a broken gearbox. This is is the part of the locking mechanism which operates all the hooks, bolts, and rollers on the multi point strip. Ironically, a broken gearbox is usually caused by the door being misaligned. If all the locking points of the multi point strip are not fitting nicely into their respective keeps on the door frame, the home owner will need more ‘force’ when lifting the handle to engage the locks. This extra force may get the door locking temporarily, however forcing the door to lock like this will eventually take its toll on something. This is where something inside the gearbox breaks down. When this gearbox break there is not much the house holder can do apart from call out a locksmith. Changing UPVC gearboxes is a more specialist kind of repair, and to purchase one usually requires an account with a lock supplier. DOOR LOCKING, BUT I CANT GET THE KEY OUT THE LOCK? There is really only one reason for this type of problem: Its caused by a key being in a locked door on one side, then someone on the other side tries opening the lock with another key. This causes the cam (centre of the lock) to twist out of its original position. Once the cam is out of position, the person will no longer be able to lock the door and take the key out. The fix for this problem is quite easy, its simply a case of changing the euro cylinder. A euro cylinder with an out of position cam can be repaired, but once its been out of position once, it will have less strength than before, meaning its easier for the situation to happen again. Therefore simply changing the euro cylinder is the best solution, and at an average price of £20 its not too expensive. Although there are many more reasons for a door lock not working, for the sake of keeping this article brief we have only listed the ‘most common’ faults we encounter. If you feel we have missed anything out, please feel free to drop us a message and we will happily update it.